At the moment I mainly work on the Scot Pop Centre and as Avalanche sell online to bring in what income I can. I’ve used up all my own funds and sold a lot of my own collection to keep things going sure that at the latest something would be settled by now. I was wrong ! The large vinyl collection I was given to sell recently bought me a couple more months but now I need to make that side of things more permanent. Avalanche’s reputation as an indie shop supporting all new music but especially Scottish music goes back decades but these last couple of months selling not just collectable stuff but also good quality regular used vinyl and CDs has been more enjoyable than I expected with only the occasional idiot and we’ve built up quite a following in that area too. As I’ve said selling new releases are lost to me now and that is fine so long as I’m not wasting time competing with the direct to fan model. 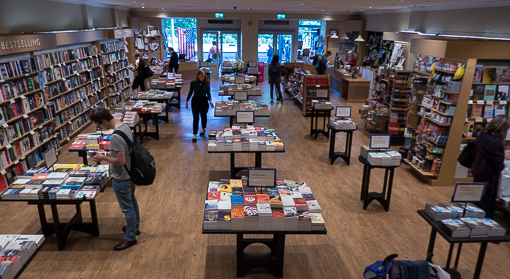 Reaching new people was always the best part and I’m really looking forward to seeing how that works out in partnership with Waterstones on Princes Street. 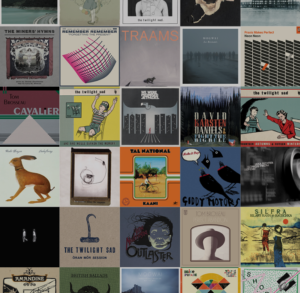 We will initially be supplying them with albums from 20 Scottish artists that we think their customers will appreciate and looking to attract new fans from their large footfall rather than the current trend of mostly targeting an established fan base. What I need to do now is find a space in the city centre to base myself. I say space rather than shop because realistically all I need is a secure space that can be accessed by the public. Not I should add one of these places that sells online and says you can visit but it will be a space I can work from and people can visit for whatever reason. It will be laid out like a shop for sure but not with a full on shop ethos. I’m amazed how often people buy something online and then leave a message saying they used to come in the shop when they were a student but have since moved away. They have such good memories and often recall the bands they discovered at Avalanche or the gigs we recommended they go to. Sadly those days will never return and I do get asked a lot if it is not possible in these days of “experiential” selling to bring back that vibe but unfortunately everything is stacked against that now. There was a period when we still did what we did but with far less sales as people could just go away and listen for free and buy online. Once the direct to fan sales kicked in for new releases that time was over. So for now the emphasis will shift back towards selling stuff and working on the ScotPop Centre will be something I do when I can and have the time. Many may not even notice a difference as social media will not be affected too much I suspect. Certainly if I had just kept on with the shop and worked on the idea of the centre when I could I would never have reached the point I have now. The few people who know how much we have ready to go appreciate the work that has gone on unseen and of course unpaid. So the first big push will be to find somewhere and I’m hoping people will come forward with ideas for spaces or buildings and preferably people who own or have rights over the space. Edinburgh Council have failed to come up with anywhere in four years and if you do find something they say they have to offer it to everybody. If I had got a council gallery or museum space then obviously the focus would have been different but for now the plan is to have a physical presence and shift the emphasis back to Avalanche until such time as the centre is up and running but not set any deadlines for that. 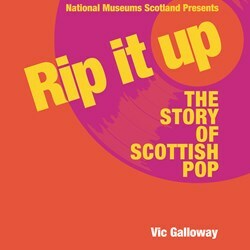 When I first spoke to the museum about Rip It Up I was keen to know how they would define Scottish pop music as that would be a definition I would have to live by too. I was relieved to hear that dance and folk would not be covered as that was also my feeling. 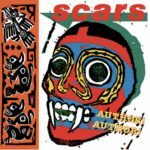 There would be plenty of artists that would cross into the Scottish pop arena but as a genre both could easily have their own exhibitions. 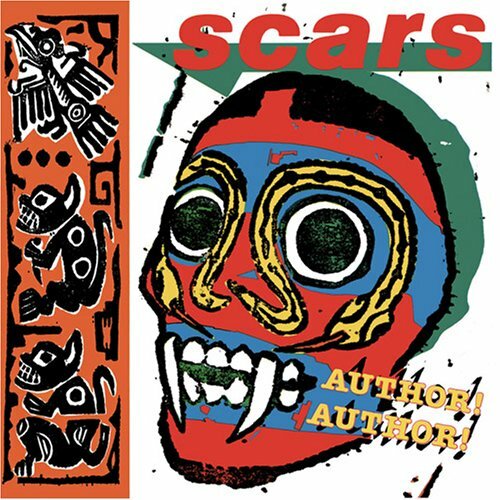 As it turned out Rip It Up made a nod to dance with Optimo and the Fini Tribe which looked like the token gesture we had discussed not occurring. A band like the Shamen certainly crossed over and as with the folk artists the museum included if it is in the context of Scottish pop then they do fit the criteria. You can tell what a minefield it is when in the four BBC radio programmes that accompany Rip It Up dance gets a whole show and folk is barely mentioned. ScotPop MEC will have a lot more input from photographers, journalists and the magazines of the time. 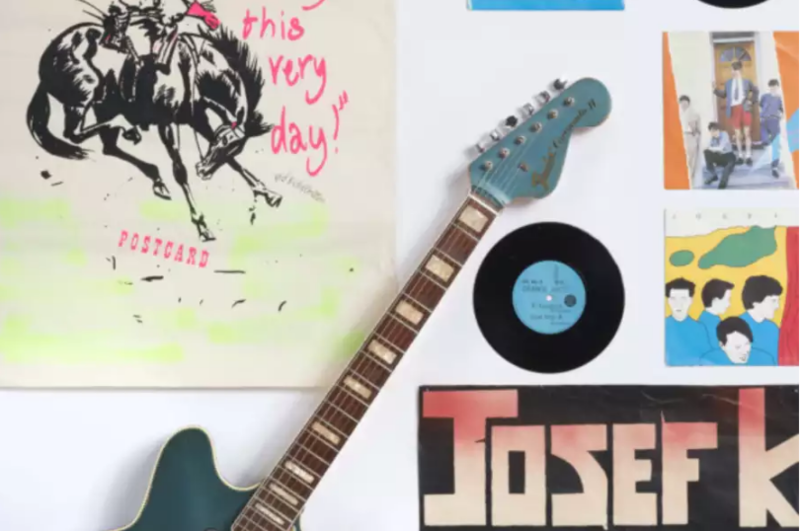 Venues, clubs and shops were also so important to the scene in any decade and of course artwork from the record covers to the t-shirts, badges and posters were an integral part of defining a band on top of their music. All of this will be covered extensively and material has already been sourced. Anybody who follows on social media will already have an idea of what I mean and what has already been sourced. It was great to see the Rezillos costumes they wore on Top of the Pops, some interesting guitars and awards but generally I think we would look to have less of that than the museum. I even have access to live recordings that have never been heard and I need to work out how they can be used. The help from all involved from the sixties onwards has been fantastic and I have offers of professional help to both create and promote the exhibition. Which brings us to funding. One of the regular suggestions just recently has been that I should set up a GoFundMe page. I have in fact done that already some time ago but as I suspected while help in kind has been tremendous the raising of hard cash is another matter entirely and unless I keep banging on about the page it is quickly forgotten. I have funded all the work so far myself with a little cash help from others and much skilled help from professionals who very kindly work unpaid. Now really is crunch time where what is needed is money and a location as everything else is in place. Whenever you see funds being raised in the arts normally less than 10% actually comes from the general public with most coming from big donors and grants. More on that another time. For now those who wish to support can do so using the link below. Many thanks to those who have done so already and the many others who have helped in other ways. The last two blogs really were just an attempt to state the bare bones of what has happened over the last eight years and left out far more than was included. It did however give a useful timeline and basic idea of what has gone on. Others shared my frustration and offered very sensible ideas but to be honest there was nothing suggested that hadn’t been tried or looked at. I will address some of the recurring ideas briefly over the next week but more than anything need now to move forward. I must say a big thank you to those who do bother to offer advice and it is not that it isn’t sensible it is just that sadly as I say these things have been looked at or tried already. It seemed certain things would be settled in time for the museum’s Rip It Up exhibition but in the end that appears to have helped cause delay. Now folk are saying there definitely needs to be something permanent in place by the time the exhibition finishes. I’m not so sure ! I get asked a lot about these things so I’m making an attempt to as briefly as possible explain the last eight years of council dealings so I can refer to it when people ask. Part two: November 2014 – June 2018. One of the people who got in touch about the arts hub for King’s Stables Road was Karl Chapman the general manager of The Usher Hall. He also mentioned he was trying to organise a meeting about Edinburgh’s music venues but was struggling to get interest. I offered to put out a date in November 2014 on social media and sure enough 100 tickets had gone in no time at all followed by more being made available. From that came Live Music Matters. At the meeting I met a lady who was Business and Performance Manager at the council for Culture and Sport. A few months earlier the council had suggested that it was unlikely they could give me a building to house an exhibition centre for popular music but space in a council art gallery might be possible. The idea was in its infancy but Andrew Burns the council leader had taken an interest and been very helpful. I had mentioned it on my blog and both staff and people from the council got in touch suggesting the City Art Centre which needed a boost and had a ground floor that was greatly underused and uninviting. My idea would be just the thing to bring people in. A supportive council official arranged a meeting with somebody described as a business manager for the CAC. However after waiting almost a month for the meeting she seemed to think I wanted to sell a CD in their shop and clearly hadn’t read the introductory email properly. At that point the idea was simply to have some exhibits and Scottish music for sale. Anyway she got back saying no which I then mentioned on my blog. The next day I get another message from a CAC employee saying this is a great idea who said no ? It turned out to be her boss so nothing more was said. So the next month I’m at the Usher Hall meeting speaking to the Business and Performance Manager responsible for the CAC and she thinks I have a great idea. I get an email “we’re currently looking at innovative ways to improve our services, and we’re thinking about the City Art Centre”. I will get a meeting with the Museums and Galleries Manager, Frank Little. Even better the council’s strategy and finance person will come along and they love the idea too. Frank’s not keen. Clue is in the name. They are an “art centre”. Council strategy guy reminds Frank music is one of the arts. Frank’s not having it and suggests the Queen’s Hall. I do meet with the CEO of the Queen’s Hall Adrian Harris and he is keen but can’t do anything until the Scottish Chamber Orchestra leaves and the place is renovated which is some time away. For the record just before Adrian retired from the Queen’s Hall he phoned to say he still thought the idea would work and the new CEO is supportive too. The council also mention that the Tron Kirk is opening as an arts market and is there any chance I will get in touch with the organiser and get involved. I do that but we’ve hit a brick wall on the exhibition idea. The Tron isn’t available for the Festival and I get offered a space in St Mary’s Street. I expected it to be quiet but thought I could push on with the exhibition centre idea and that goes well. April 2016 and the gentleman who owns the shop has died and I’ll have to leave. It seems the right time to have a final push with a promise of Creative Scotland funding for research and development. The day after I announce the shop is closing I get a message from Stephen Allen at the National Museum of Scotland. Can I possibly come in and chat abut a collaboration. It was hard to imagine what that could be but of course it was the Rip It Up exhibition. At that point they had no other possibility but it wasn’t confirmed. The exhibition was to be from June to November 2018 and it would then tour going to Glasgow, Aberdeen and Inverness. They had no material and few contacts and would I be willing to help. There was no money but they would support my ideas for a permanent exhibition, anything they were offered and couldn’t use would be forwarded to me and anything I thought of use to them I would pass on. The museum would consider purchasing items of significance. They would put in a good word with Creative Scotland and the City Art Centre. I would help them with contact numbers and make some introductions. If anything was particularly of interest in their exhibition they would see if it was possible for it to be passed on to me afterwards. That would of course always depend on the owners but it would be a shame after all that work if something permanent wasn’t in place. I could say I was “in talks” with the museum to give my own plans some gravity. I can tell others of the plans on a need to know basis. I don’t doubt Stephen’s sincerity at the time. I do just as instructed and simply say I’ve spoken to the museum in my blog. I get a phone call immediately from Stephen saying that the press office aren’t happy and can I change it to say I’ve spoken to museums and galleries recently. I oblige. Creative Scotland wait until the last hour of the last day they have to say they don’t have any funds for me despite knowing of the forthcoming museum exhibition. The exhibition is finally confirmed just before Christmas so a researcher will be hired and things will push on. In April 2017 I’m told a researcher has been hired and can we all meet up. I actually know the researcher as an old Edinburgh Uni Potterrow indie customer. As it turns out I’m supposed to liaise with him but he’s not allowed to tell me anything ! We all meet up and discuss possible artists. Richard Jobson hasn’t been in touch they say. I message Richard and he calls them the next day despite having a gig the night before. From then on I send over lists of possible artists and help out when artists don’t reply for one reason or another. Meanwhile the City Art Centre finally say it will never be appropriate to give my exhibition space and immediately the Fruitmarkt Gallery offer me a pop-up for which I will always be grateful. By now I’ve made some great contacts thanks to Mike who runs the ScotsPostPunk social media sites. Simon Clegg many of whose photographs people will recognise gets in touch offering to help despite now living in Australia. He tracks down an old pal Glenn Gibson who was an NME and The Face journalist and still lives in Glasgow. Glenn has some fantastic stuff including all the Postcard memorabilia used by myself and now the museum. With the Fruitmarket Gallery exhibition providing a focus others also were a great help. Allan Campbell who I had introduced to the museum and had managed Josef K, run a cool label, put on many great gigs and some amazing clubs helped me track down Paul Haig’s famous guitar. An article in the Evening News had led to contact from some of the Edinburgh sixties beat bands filling the last big hole in my research. The Fruitmarket pop-up is huge success with 1,500+ people over three days and many more contacts made. Immediately I had contact from Glasgow Life which led to several offers including one from the CCA that I could still take up but none provided finance and were all temporary. Other enquiries followed from Aberdeen, Paisley, Dundee and London. No offers were forthcoming in Edinburgh. Stephen Allen had come to the last day of the exhibition and asked if I could forward a list of things that the museum should be interested in which I did. With interest everywhere but Edinburgh I was on the verge of looking elsewhere when it was suggested I speak to Paul Lawrence Edinburgh’s Executive Director of Place and known to like his music. We meet at the beginning of August and he offers to have a word over the City Art Centre. He arranges for me to meet Frank Little again. Frank seems genuinely keen this time and shows me the top floor of the CAC as a possibilty. Not perfect but a great space and accessible from the entrance by lift. He also suggests Trinity Apse just of the High Street but when we see it decides it won’t be suitable. I’m asked to put forward a proposal which quickly receives a reply that it turns out the CAC is fully booked for the next three years ! That of course wouldn’t include the top floor which is an events hire space. Around this time the museum had finally made its big reveal announcing the Rip It Up exhibition. This I was promised was when they would credit my help and give me something to show to potential sponsors. Stephen Allen had phoned me the morning of the news to let me know so I phoned the press office to see the embargoed press release. There was no mention of my help or plans. I’m promised there will be a drip drip of news and I’ll get my credit soon. Even odder the big international reveal barely makes it beyond the pages of The Evening News. The music papers aren’t told and even the Edinburgh Reporter isn’t sent the press release. January 2018 and all was meant to be in place at the museum but I’d heard they hadn’t spoken to Paul Haig though I knew they had been in touch with Malcolm Ross. 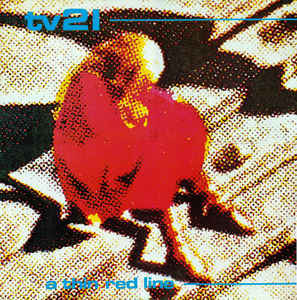 This was very odd as with Edwyn Collins declining to be involved speaking to Paul was essential.. I arrange for Paul to speak to Stephen and he suggests they use his old guitar from the Fruitmarket exhibition. 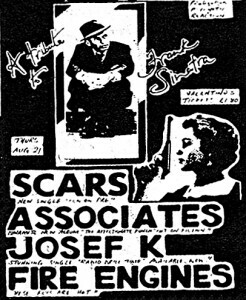 Malcolm has already loaned the Orange Juice and Josef K posters from the pop-up and Glenn Gibson had loaned all the Postcard memorabilia as well as his records. I still have the guitar and suggest this will be the perfect opportunity for the promised publicity. The press office say they are too busy. Stephen says they can’t stop me mentioning it in my column so I do. I had also been speaking to the museum’s retail manager about stock for the exhibition shop but that is another story ! However one thing he had said was that he couldn’t imagine the museum supporting any rival exhibition no matter how complementary. I get more feedback along the same lines. Even when asked about what might happen when Rip It Up finishes Stephen fails to mention my plans. As for the City Art Centre I was prepared to offer more in rent for the top floor than they made in a year. 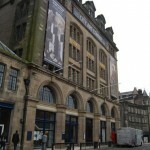 The Fruitmarket Gallery offered a reference on the popularity and quality of their exhibition. Paul Lawrence said he would back the idea and Donald Wilson the Culture Convener said he didn’t even see a reason for it to go to committee for approval but if it did it had his full support. This is a trial there is no need for due process and procurement. The Council would need to agree that the space in the CAC is to be used for alternate purposes and therefore is available to ‘the market’; We would need to run a marketing/bidding process; We would need to evaluate all bids including an assessment of detailed business plans; The Council would then determine a successful bidder based on a range of criteria. It is likely that Donald Wilson would want significant work undertaken across the political groups before he agrees to any report. I was also told there was no guarantee even if I was finally successful how long the arrangement would last as they were considering other options in the future. When I pointed out to Paul this completely contradicted my last meeting with Donald Wilson I was told I would find his and Donald’s thoughts were now “aligned”. There was no “alternative purpose”. I was just offering to rent it for months rather than days. It was an offer I couldn’t possibly accept, working on something that had no guarantee of success, would not be ready in time to “complement” the museum exhibition and with no guarantee I wouldn’t be kicked out as soon as I got in. Several important people are mentioned here. They aren’t used to having their actions questioned and in the arts and culture sector in particular it is a sad situation that cronyism is rife but anybody who says anything is blackballed. Often people need a working relationship and can’t afford to be cut out so stay quiet. It wasn’t easy helping the museum. I had to approach people and ask if they would get involved and look things out but could give no guarantee their time wouldn’t be wasted. The most disappointing thing of all was when Stephen said he wouldn’t contact Alan Horne the founder of Postcard Records. I’d contacted Alan via a third party before the Fruitmarket exhibition and also told him of the museum’s plans. Stephen had said he’d been advised Alan would be too difficult to deal with so had not even attempted contact. I got a nice reply from Alan thanking me for bothering to track him down and saying he was working on his own projects just now. He wished me luck and said not to rule out being involved in the future. I received a couple more emails and in the last one he said if I thought it worthwhile I could give his details to the museum and he would speak to them. Anything from Alan would have been a major coup for the museum. It had understandably been top of the researcher’s list who I should add had long left by now. Sadly as I say Stephen said he didn’t want to spend time on something that might come to nothing. Used by now to the museum’s attitude I was still stunned. Alan told me he had spent time recently in a windowless loft pulling out the very things I required and I know he has been working on Paul Quinn gig footage so hopefully something will surface in the future. My Edinburgh Evening News column this week on the CAC, procurement and the last offer I made is here. Just days before Rip It Up opened, and months too late to be of use, Stephen Allen finally acknowledged both the help he’d received and the previous Fruitmarket exhibition in his blog. All this is what it is. Now we move on. I still get asked a lot about this so I’m making an attempt to as briefly as possible explain the last eight years of council dealings so I can refer to it. Part one: Nov 2010 – Jan 2015. 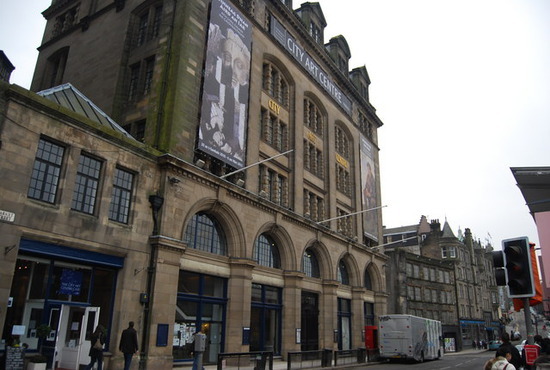 In November 2010 Avalanche moved to the Grassmarket encouraged by Edinburgh Council’s intention to make it a cool cultural hub. With Armstrongs Vintage, Analogue Books and Red Dog already established Avalanche moved in between Red Dog and the famous children’s and craft gift shop Helios Fountain. Having spent £8m on pedestrianisation there was no way the council weren’t going to follow up on their plans to make it a major events space. First news was that the Christmas Market was cancelled. Not a great start ! However there was an exciting new organisation going to be formed to boost business, the Greater Grassmarket BID ! We had a year to put on events and show the BID would work and I helped put on a very successful two day music festival the next April. Again alarm bells should have rang when the council official I was told would help with all the red tape had, it turned out, been on a 14 month contract not renewed. Then the ballot was delayed to September the following year. The BID was successful at the ballot but went on to be a disaster, massively underfunded and not only not supported by the council but opposed by the local residents. Edinburgh Council when challenged blamed the trams ! April 2014 and Avalanche takes the break option in our lease and leaves. Soon after I’m approached to help with the sale of the large council site just around the corner in King’s Stables Road. There is to be a hotel and student flats but also the creation of an arts hub, specified interesting retailers and an “attraction”. Will I speak to any interested developers asks the council official in charge of the disposal ? I agree after being told that no amount of money can buy the site if it doesn’t have all the features specified. I’m approached by several developers who are quite honest that they intend to do the bare minimum beyond the hotel and flats. I decline. One developer gets in touch and has taken the whole plan from the council on board. It’s a no-brainer their bid will succeed and everything points that way until a couple of days before the winner is announced and I hear a rumour it is going to a larger cash bidder with no arts or retail support and no attraction. I should add that before we left the Grassmarket I’d been asked to write a piece in the Edinburgh Evening News when the council passed a motion to support music in the city centre. When the King’s Stables Road site became available I’d written another column on the need for an arts hub. This had generated a lot of interest and contact from people who had previously been involved with reports on the site. Footfall was key. 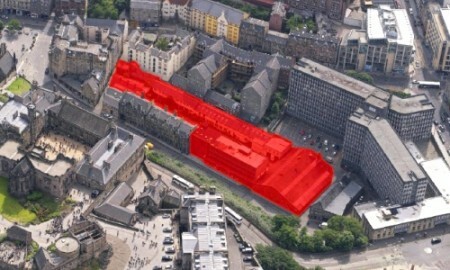 The council wanted footfall to flow down from the High Street through the Grassmarket and down King’s Stables Road. 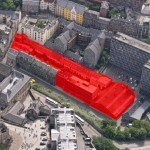 To encourage this, and footfall up from Lothian Road, the site would need to be a major attraction on several fronts. Reports had been commissioned to show the great benefit to the area and in addition with places like the Usher Hall and Filmhouse nearby the arts hub idea was hugely popular. So the council may have fucked up with the Grassmarket but they couldn’t do it twice could they ? They could not have shown a better grasp of what was needed. They even realised that things needed to happen sooner rather than later. They wanted a clean offer with no strings attached and work started ASAP. 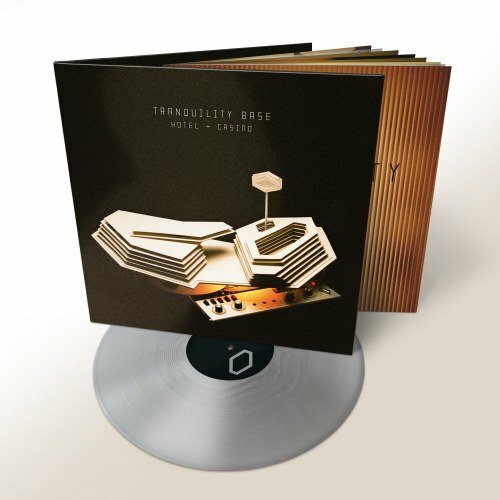 To ensure that they told me every possible report that might be needed had already been done which had delayed the site going on sale by six months. They fucked up. They gave the site to a developer who made an unfeasibly high bid with no intention of providing the arts facilities, had no retail plans or details of any further attractions. How can I be sure ? Well I was asked to meet the winning developer and keen to see what was planned I agreed. When I asked they were brutally honest. We have a blank sheet of paper and will consult to see what is wanted. The current situation is that they haven’t handed over most of the cash yet on what I’m told is a reduced sum. The place has been reduced to rubble but no building has started and now it is subject to an inquiry called by the developers. Last I heard the arts offering had been included as part of the hotel development ! The council were very clear that the system of scoring was such that the site could not be bought simply with money but when I asked under FOI to see the score sheets and their score for their blank sheet of paper I was told it would be confidential until all the cash had been handed over. There is though I believe no reason why any councillor can’t see the figures. Be very clear here. This was a once in a lifetime opportunity to make a major difference to the flow of footfall in the city centre and Edinburgh Council with all the information in front of them and for reasons that are simply not clear did the opposite of what they had claimed they would do. I’m yet to receive an explanation. 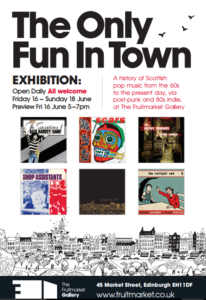 I had hoped to make some definitive statement on the ScotPop Centre this weekend but I haven’t been able to speak to everybody I need to and the opening of the museum’s Rip It Up exhibition raised more questions that had to be dealt with but at least in a good way. Thanks for your patience and thanks to all who help in one way or another. Rip It Up has actually made it a lot easier to explain what the ScotPop Centre will do and all the interest this week has been very positive. I fully expect to clear everything up this week. On a lighter note I went to the Rip It Up evening preview with Glenn Gibson the former NME and Face journalist who has been so helpful to me and it was funny to see folk greeting Glenn as a long lost friend. Glenn left the music industry behind in the eighties so many wouldn’t have seen him for several decades. It was good to see how fondly they remembered him and all he did to promote Scottish music then. We now of course live in different times. 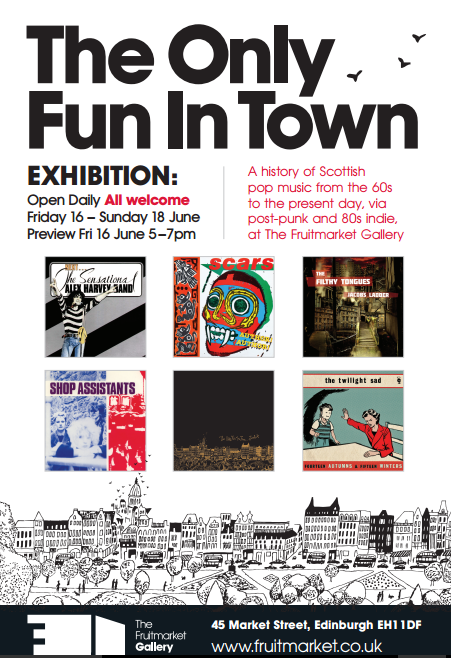 This weekend is exactly a year since the successful Fruitmarket Gallery exhibition and by coincidence just days before the museum’s Rip It Up exhibition starts. Despite lots of interest and some great support from individuals we don’t have an Edinburgh space or any sponsorship. That isn’t to say there has been no interest at all and in fact there is currently interest but firming up that interest is proving the problem. One thing that will be easier once the museum exhibition is open is to explain how the ScotPop Centre will be different. There is a lot of talk of making sure that something is in place to take over when Rip It Up finishes at the end of November but to be honest that is too distant a target for me. It is almost four years since Edinburgh council first offered to help and nothing has come from that despite some very promising meetings. The options are simple, either a building or a space within a building but I’ve never had a firm offer. As a courtesy I’m speaking to people this week first and then with the museum exhibition open and having waited a year since the pop-up I’ll make firm decisions. Nobody is more frustrated than myself to be constantly kept hanging on believe me. Thanks to all those who have helped for their patience.